**Bible received for review. All thoughts are 100% my own. 1. I have crazy cute kids! 2. I love Bible journaling. 3. I love adult coloring books. I've talked often about my love of Bible journaling, and even guest posted over on the Family Christian blog on the topic of coloring as a form of creative worship, much in the way of Bible journaling. But as I began to collect a few, I learned that I was really loving them all on their own. I did use them on occasion for my Bible journaling as I'd planned, but mostly it became a completely separate hobby for me. I loved that much like journaling, it gave me that creative form of worship- allowing me to spend time with God in a unique way that made sense to me...and unlike typical Bible journaling didn't require that I be a great artist. Inspire is a new single-column, wide-margin New Living Translation Bible that will be a cherished resource for creative art journaling. It is the first Bible of its kind—with over 400 beautiful line-art illustrations spread throughout the Bible. 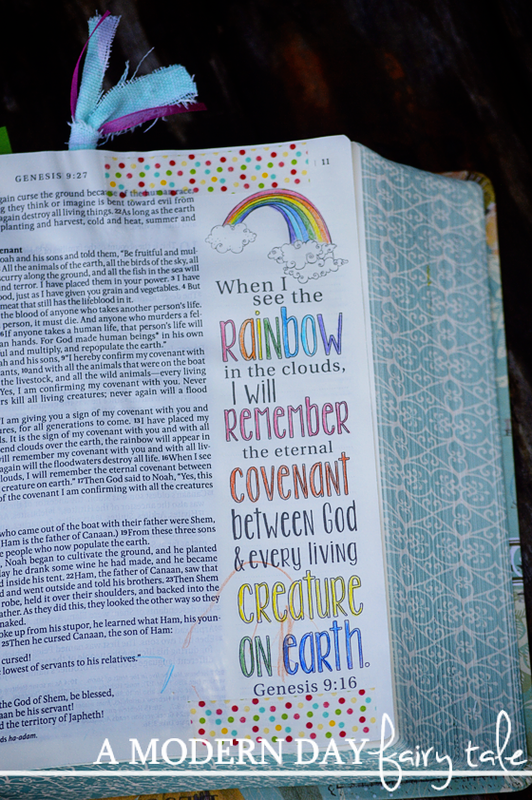 Full-page and partial-page Scripture art is attractively displayed throughout the Bible, and the illustrations can be colored in to make each Bible unique, colorful, and customizable. Every page of Scripture has two-inch-wide margins, with either Scripture line-art or ruled space for writing notes and reflections, or to draw and create. The generous font (8.65) ensures optimal readability, and quality cream Bible paper is great for creative art journaling. 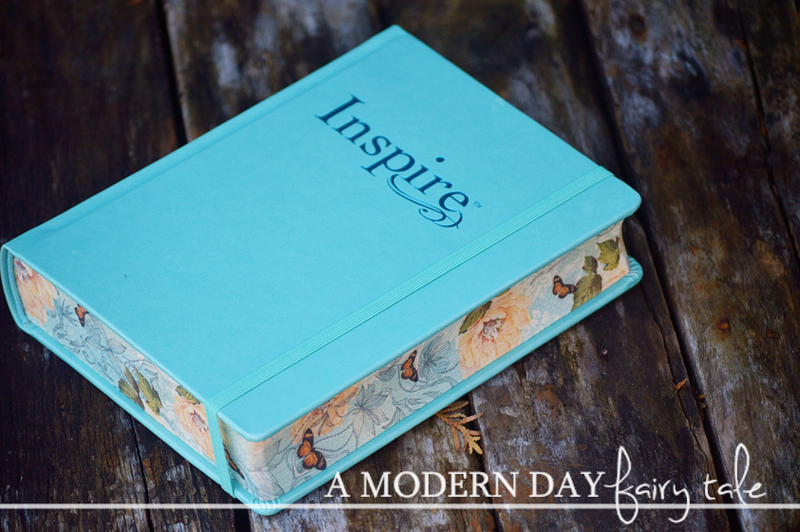 Inspire is the only single-column, wide-margin Bible available in the popular New Living Translation, and it is designed uniquely to appeal to art-journaling and adult coloring book enthusiasts. Wait...a coloring book AND a Bible? All in one? Yes, please! This combined two of my favorite things into one incredible package! How could I not fall in love? Aside from loving and wanting one for myself, I could not help but think about what a great solution this was for those who were interested in Bible journaling, but whom like myself did not view themselves as artists. 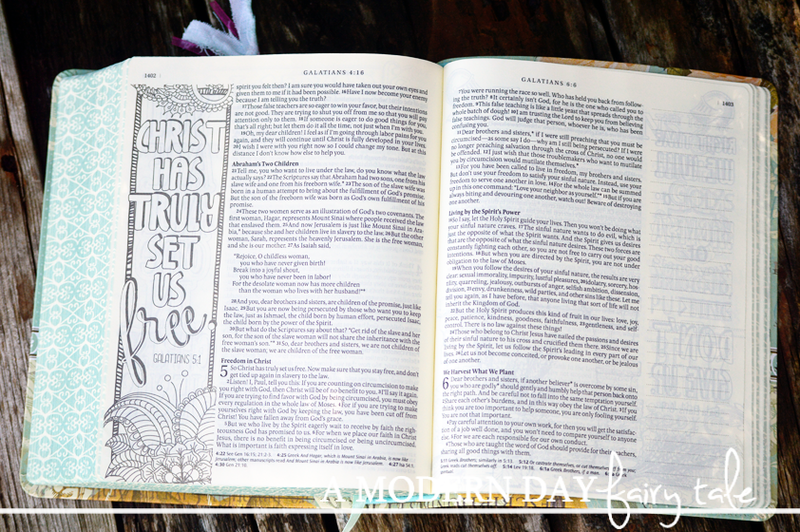 This Bible offers many of the benefits of Bible journaling- time in the Word, creative worship, creating beauty in the margins of the Bible etc... but gives a great starting point that we can ALL enjoy- no matter our artistic abilities. 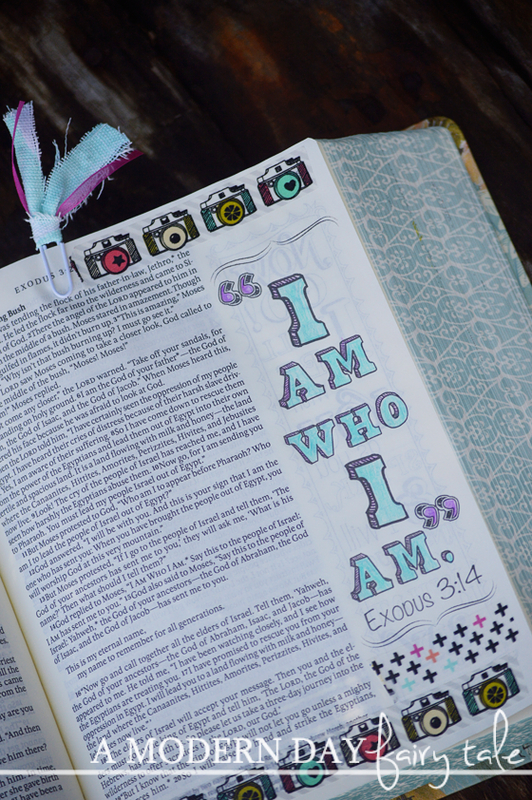 One of the most common comments I hear regarding Bible journaling is that it looks wonderful, but that people just don't have the talent and/or creativity to do it. 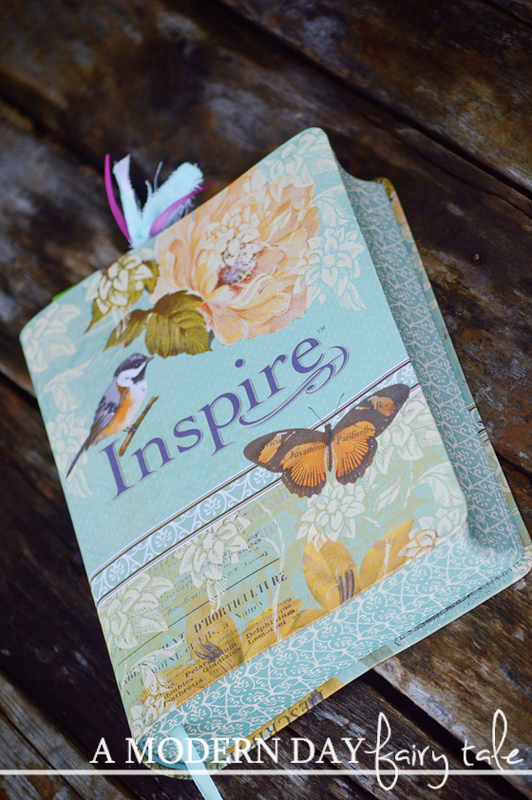 With the Inspire Journal, Bible journaling can truly be enjoyed by all. For the novice and non artist, they can keep it simple and just color in the pictures with the basic coloring pencils or markers. Easy, uncomplicated. Or they can take it up a notch and introduce water colors or washi tape and other mediums to take those predesigned pages to the next level. And when they're really ready to take it to the next step, there are still plenty of blank pages available to create your own unique artwork or write notes as you read. The Inspire Bible truly offers a little something for each of us. Deluxe Hardcover edition features a lovely, teal imitation leather over board, with beautifully-designed full-color page edges, a matching ribbon, and an elastic band closure. I love the simplicity of the teal hardcover- simple and timeless... but the artwork on the softcover is just stunning! Inside, it's all the same, so you really cannot go wrong with either choice! As I said, I knew as soon as I heard about this Bible that I just had to add it to my collection, and I waited somewhat patiently to get my hands on it. And now that it's here? All I can say is that it is most definitely worth the wait! This may be my favorite Bible yet! The Inspire Bible releases on March 22nd, but is available to preorder now on Amazon or your favorite Bible retailers. This is truly one you do not want to miss! I would love to have this! Thanks for the giveaway. This is really nice. A far cry different from being told not to mark up my bible. This is such a beautiful Bible. I've been needing a new one and was thinking of getting a study type so I could write inside, this is even better. Taking a look at their site. Thanks for the giveaway! What an awesome giveaway. I had never heard of a Bible like this before. This would make a wonderful Easter gift for our granddaughter! I would love one for myself and each of our girls too. This bible is gorgeous! I love all of the cute art work in it. So fun!! Perfect for me!! I always find myself searching for artistic inspiration and this is perfect for that and I get the blessings and amazing story in the bible with it!! This is perfect for me. I truly have minimal drawing skills - but I can color within the lines! I enjoy Coloring and would like to incorporate it in Bible Journaling while reading God's Word!! THANKS for the Chance to WIN!! I love this. I have a journaling Bible, but I really end up just writing notes in the margins. I like that this has parts to color. I love Bible Art and learning more about God's word. This is a beautiful bible.So nice that you can color in it to. I also love Bible journaling. I have journaled for many years and now I love to look back through them. 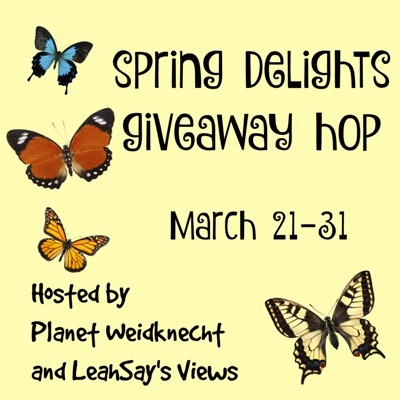 I'd love to win this, thanks for the chance! I would love this Bible! Thank you so much for the chance! I would love this! I love this Bible! So neat and creative! 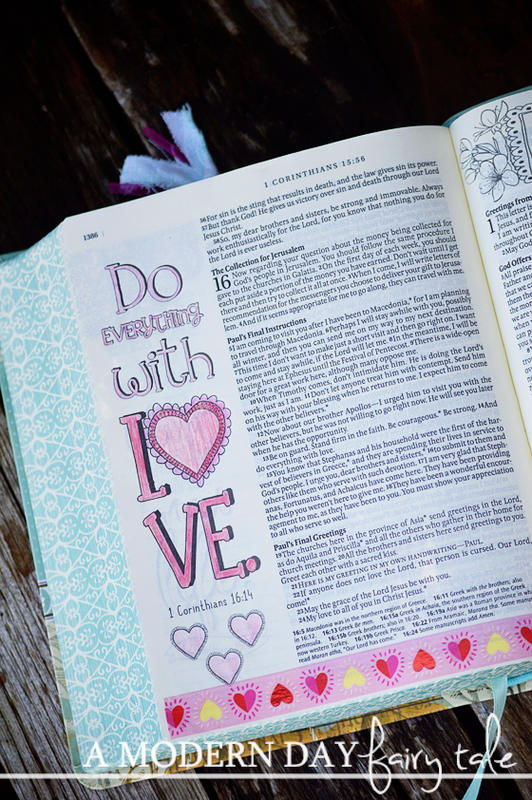 I tried my hand a bible journaling, but I ended up giving that Bible to a friend in need. It would be wonderful to have a replacement. I adore living vicariously through what you post. Thank you for being inspiration. This is a lovely bible. I'd love to color and doodle in mine too but have not the space.